Still standing. Near Roanoke, Virginia. I forgot the position from which I shot the original photo and pulled over to take just one shot. 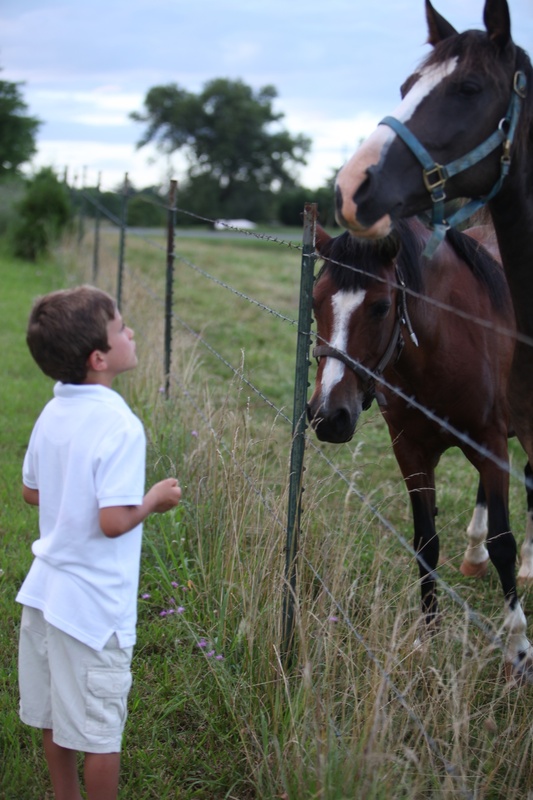 When the kids visit their grandparents in Virginia, they love to feed the horses next door carrots and apples. Marlene must have had ten pounds of carrots for our stay! 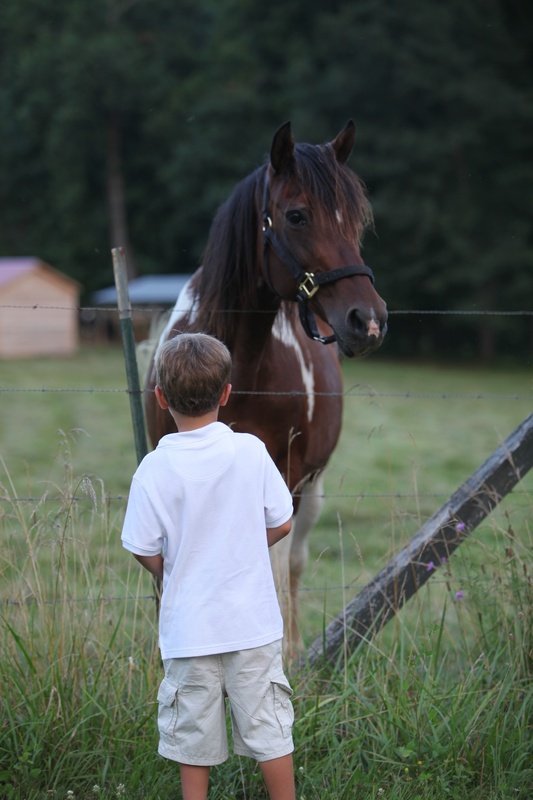 The neighbors are generous with allowing all the children to visit the animals at the barn, too. You might remember the pigs. The grass was so high from all the rain in was hard to see the bare feet! The fence where we took Christmas card pics last Thanksgiving. 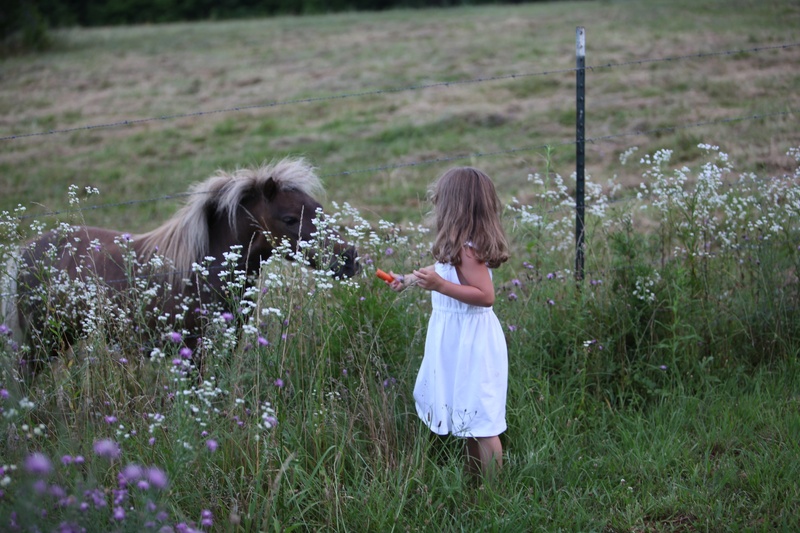 Maura feeds the mini horse a carrot. The next morning, saying good bye. Horses keeping cool in the shade of the woods. and the much used but almost always successful running grandchildren shot. They really respond to on your mark, get set, GO. Must be all that swim team practice and meets! The four of them are making my summer vacation a lively one! Down on the farm in Virginia. Mar said it was dark in the barn. Thanks for a fun guest blog. We don’t see this in the city! Lots of new life appearing at your neighbor’s farm. Springtime action in corrals and pens and barn. Future Mom sitting on 17 eggs! Click on Video below -A little dark in the barn. That is if you want to see 13 new piglets scramble at feeding time. 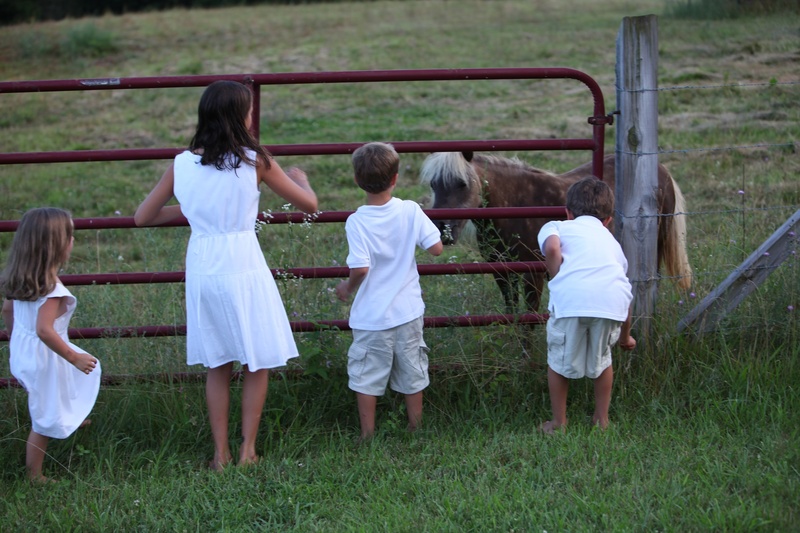 What do you get when you cross a miniature horse and a donkey?